Gov. 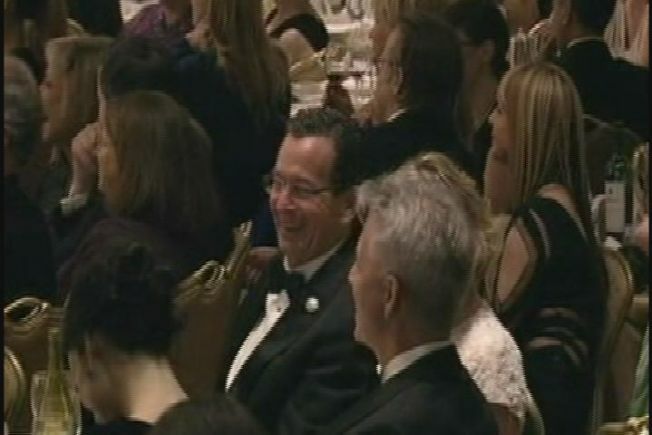 Dannel Malloy’s attendance at the star-studded White House Correspondent’s Dinner in April sparked controversy in Connecticut over the costs. Malloy ended up paying his own way, but state taxpayers footed the bill for his security detail. The total cost to taxpayers was $4,808.58. The NBC Connecticut Troubleshooters asked Malloy’s office about the spending. “Back in May, you had said that taxpayers weren’t footing the bill for the Governor’s trip to DC,” Sabina Kuriakose asked Andrew Doba, the governor's spokesperson. “That’s actually not accurate," Doba responded. "What we said was the Governor, rather than saddling taxpayers with the cost for his travel expenses, he paid for it himself." “And isn’t the cost for his security something taxpayers should have been aware of?” asked Kuriakose. “Well, I mean I don’t think we said anything to the contrary. I think the Governor’s security decisions are made by the experts,” Doba said. The trip drew the ire of state Republicans, who questioned whether Malloy’s People Magazine-funded outing violated state ethics law. Malloy reimbursed People Magazine for the $1,234.62 cost of the trip. At the time, his office released a statement about the reimbursement. “Instead of shifting the cost to the taxpayers, the Governor is personally paying the cost,” the statement read. But anywhere the Governor goes, so does his State Police security detail. It is something Connecticut taxpayers pay for, and that can add up. An exclusive Troubleshooters investigation in February found total overtime costs for the Governor’s security detail topped $1 million for the first two years of Malloy’s term. Six months after Malloy's trip to the White House Correspondent's Dinner, his office turned over details on the expenses. State police troopers on the Governor's security detail racked up $2,650.34 in overtime, and $2,158.24 in travel expenses, according to state officials. “Certainly I believe the Governor requires security, and he should. But he needs to prioritize what trips he takes and which ones he takes security detail with him,” said Sen. Rob Kane, a Republican who represents the 32nd District. Kane is the ranking Republican on the State Senate’s Appropriations Committee. He faults the administration with not being transparent about the Governor’s travel costs. “He’s telling us about one half of it but he’s not giving us the real story or the other half of the story,” said Kane. “We never said there was no cost associated to the State. We said the Governor would reimburse the State because he didn’t want taxpayers paying directly for his expenses and that’s what he did,” Doba said. Malloy’s office says they are mindful of the governor’s travel expenditures, but insist his security decisions, including the costs they incur, are made solely by State Police.